The UFC has just added two great fights to their UFC 214 card in Anaheim, California. Former bantamweight champion Renan Barao returns to the division he once reigned over after a brief two fight flirtation with featherweight to face Aljamain Sterling, and the ‘Korean Zombie’ Chan Sung Jung will fight Ricardo Lamas at bantamweight. Both are the kind of fights any fan of the former WEC can really get behind. 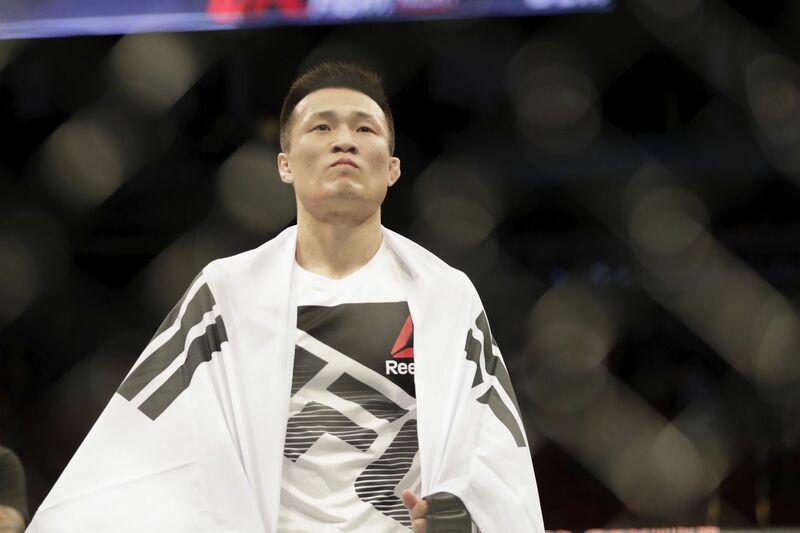 Long time favorite Chan Sung Jung is in just his second fight back following the mandatory three year stint every South Korean does in the military, but if his first fight is any indication, he’s looking better than ever. Jung took out the highly regarded Dennis Bermudez in that fight with a first round knockout. UFC 214 is being headlined by the long awaited rematch between light heavyweight champion Daniel Cormier and Jon Jones, which has been cancelled the last two times the promotion has tried to book it. But don’t worry, fight fans. UFC president Dana White has declared he’s keeping Jimi Manuwa ready to go in case either Cormier or Jones don’t make it to July 29th injury / scandal free.